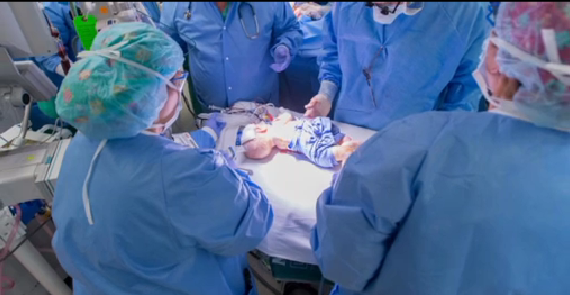 JACKSONVILLE, Fla. -- For the first time in their 5-month-old lives, conjoined twins Carter and Conner squirmed in separate cribs. "Hours and hours went past and we got a good update and they told us they were separated and I turned about five shades happier," the twins' father, Bryan Mirabal, told CBS Jacksonville affiliate WJAX. "They were like 'they're separated,' and I was so excited jumping up and down and everyone was bawling their eyes out," the boys' mother, Michelle Brantley, told the station. The couple, whose lives were upended by the news that their twins were conjoined in the womb, were all smiles following the operation.